In the Loop: Knitting Now challenges oversimplified definitions of contemporary knitting to reveal the diversity and popularity of knitting today. Invited contributors range from practitioners and educators, to historians, conservators and curators, representing research from Australia, Britain, Canada and the United States. The artists, activists and designers included do not create knitting that conforms to our typical expectations of what can be made with needles and thread. Across four themed sections – “Rethinking Knitting”, “Narrative Knits”, “Site & Sight: Activist Knitting” and “Progress: Looking Back” – a diverse and eclectic range of voices challenge the stereotypes of knitting. 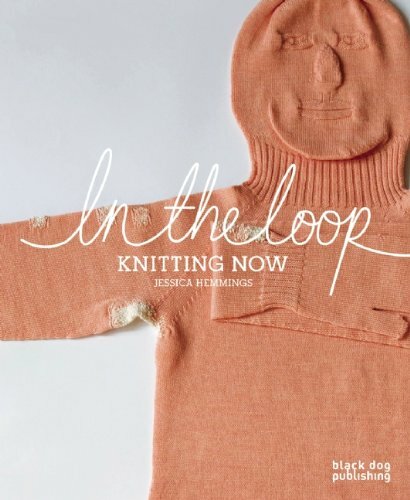 In the Loop seeks to acknowledge and expand the contribution knitting makes to a vast array of disciplines, including craft, modern literature, fine art, feminism, activism and history. Contributors include Sandy Black, Mary Brooks, Sabrina Gschwandtner, Rachel Beth Egenhoefer, Deirdre Nelson, Linda Newington, Clio Padovani, Lacey Jane Roberts, Freddie Robins, Annie Shaw, Lycia Trouton & Joanne Turney.